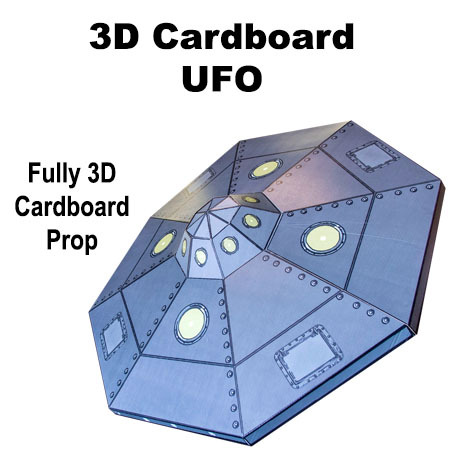 3D Cardboard UFO - Dino Rentos Studios, INC. This Cardboard UFO is in full 3D. This UFO is perfect for stage, theater, and retail displays. Comes complete as a kit and requires assembly. Assembles in approximately an hour. Please contact with any questions or for additional details.